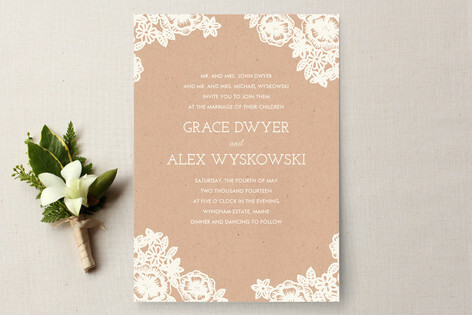 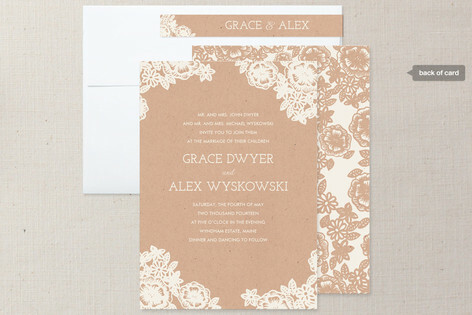 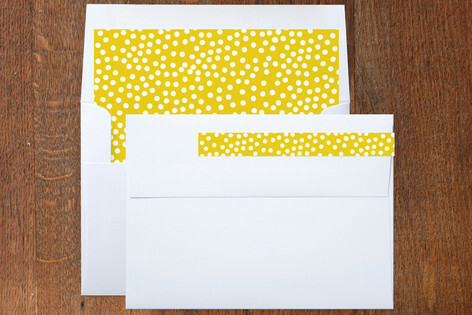 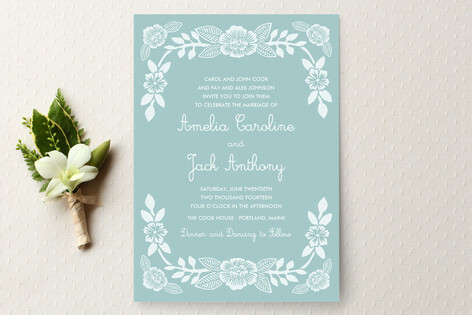 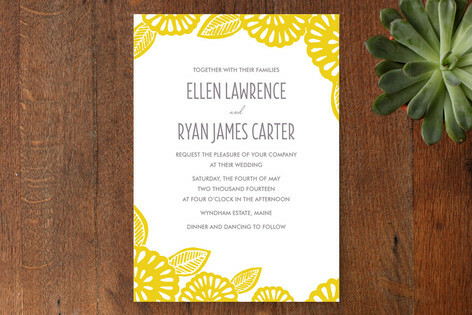 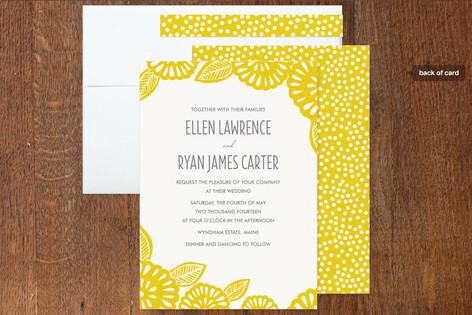 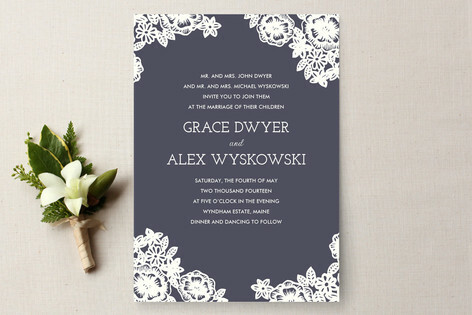 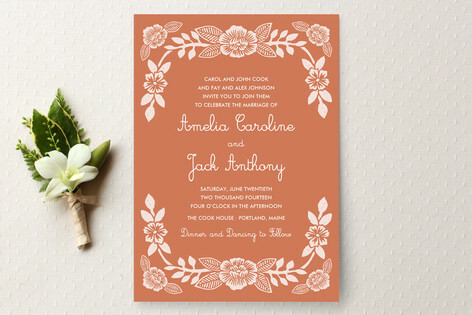 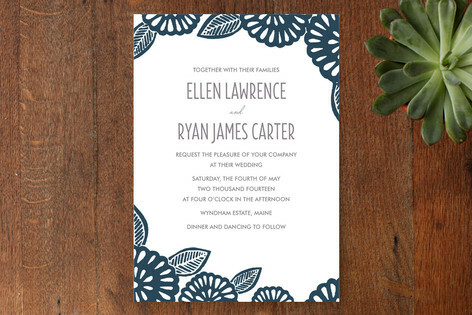 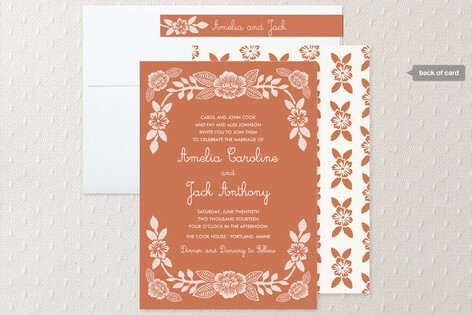 I have three new wedding invitations available at Minted this week! 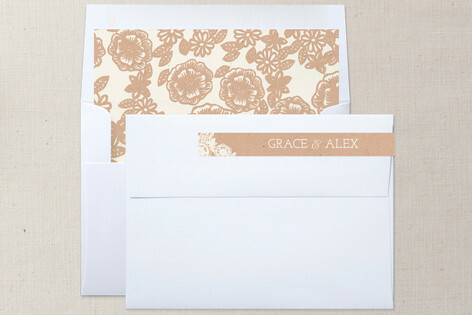 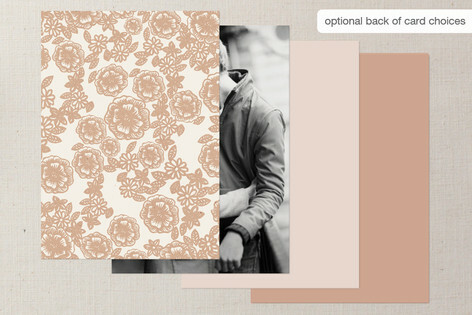 Bold Block Print, Block Printed Floral, and Lace and Kraft are all now online. 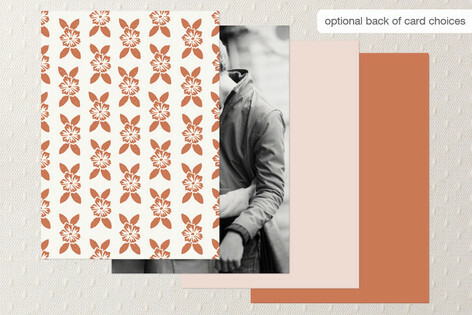 I think my favorite turned out to be the Bold Block Print in coral, it looks so summery and has me excited for warm weather again. 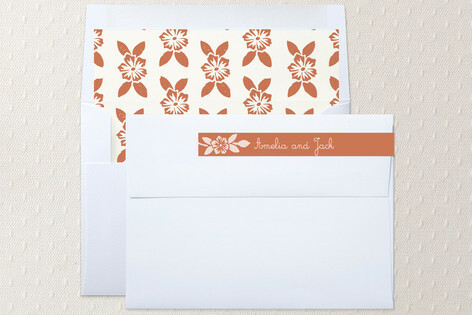 I make block printed paper goods and textiles from my studio in Portland, Maine. 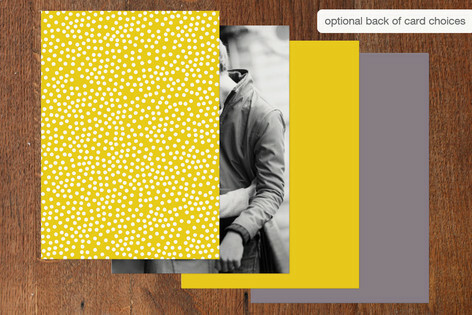 See behind the scenes of our process and projects here.